How to identify who you are dealing with and handle your divorce effectively. Right now we are experiencing some highly contentious and emotional divorces. There is so much anger, pain and fear many clients experience through their divorce. It goes without saying that most people divorcing have been dealing with or avoiding these same feelings for some time. At Teddi Ann Barry, P.C. we try to find ways to simplify divorce for those struggling so deeply and emotionally. When clients can identify the issue – name it, see it, sit with it – they are often better able to lean into it and stop fighting. Note this is written as opinion and my professional experience. I am not trained in psychology and do not pretend to be. See below for some great recommendations. HATERS are one of 3 of the most prominent personalities we see often during Divorce in Colorado. Here is what to do if you or your spouse may be identified as a HATER. Haters have often been wronged in some way. Their spouse has had an affair, dwindled their money, fails to contribute to the needs of the family or otherwise carries anger from work or life past that pollutes the marriage. Haters are quick to blame and project their feelings on to others, their mood patterns range from immediate rage to being so passive that much of their anger is not understood until they work with a mental health professional. Working through divorce with a Hater can be extremely difficult. They are the ones to tell you that you won’t ever get to see your kids, or they are going to spend “every last dime” you have to make sure you don’t get anything – the house, the retirement, the cars. They are so emotional that there is little you can say to help, and often you will likely react in ways that makes it even worse. If you are the admitted Hater, then here is how to help yourself through divorce. Get into counseling. Working with a mental health provider to process your hate, understand your triggers to anger and how to handle the hatred in a more helpful way can change your world forever. Here are links to the mental health professionals I refer our clients to most often. Take space, don’t engage and find an outlet. Depending on the depth and intensity of the hatred, learning how to step back when your hatred becomes rage is so important. Learn to not take your hate out on others and build a support system. Take a walk, go to a quiet room and just breathe, or call someone to help you. Finally, do not make things worse. Blowing up your divorce, spending more time and money than needed will not help you. In most cases, this will have you hating more later. 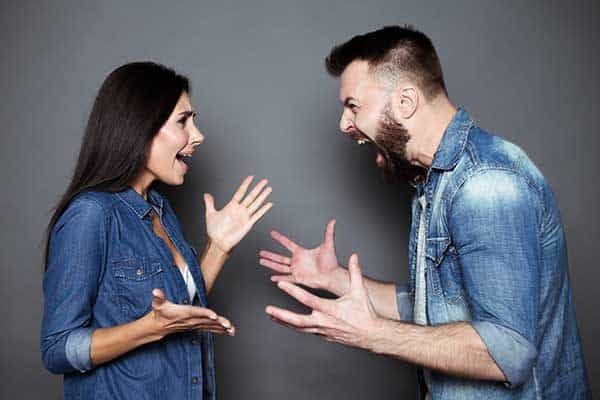 Deal with your emotions before you attempt to sign divorce papers or leave a court determining permanent orders that are far worse than you could have determined together if less emotional and hateful. Of course, every person is different and there are many other personalities getting divorced. Selfishness is usually the place to start. Here are some of our most trusted counselors many of our clients are working with to divorce successfully.